If your dream is to have a beautiful garden but you don't have the time to dedicate to the job, call 020 3746 3128 and take advantage of Allan's Gardeners. 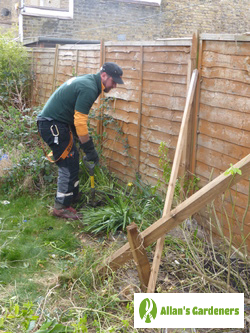 On hand to help with many kinds of work, the services of the expert West Brompton SW5 garden maintainers are an affordable alternative to spending time and effort yourself. Available for both residential and commercial customers, we have an arsenal full of the best equipment, tools and expertise in order to create your dream garden, and then keep it well maintained. Our prices are reasonable, and your service can be booked on a regular basis - daily, weekly, or for a one off occasion. We’re Your One-Stop Garden Maintenance Shop in West Brompton! Same day service - if you need the West Brompton SW5 garden maintenance pros in an emergency we're always here to help - even when the weather is bad! 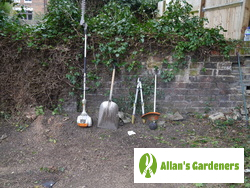 We believe everyone should be able to have help in the garden that doesn’t cost the earth, so if you live in and around the following areas, you too can take advantage of the services that we offer: Fulham, Parsons Green, South Lambeth, Cudham, Biggin Hill.